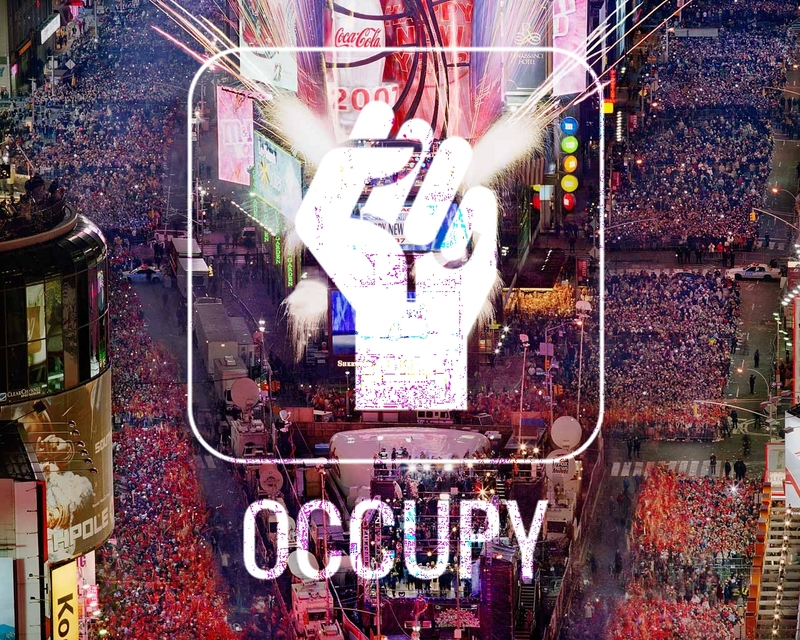 Share your ideas at our Occupy 2012 Reddit and commenting here! Spread the word and start your own Open, Playful and Sincere Action for New Years!!! Help us Occupy the Ball Drop in Time Square with signs, projections, balloons and spirit!!! There’s a party at LIBERTY SQUARE at the same time, but that is not the focus of this action. We will attempt to display the Occupy Message through the Ball Dropping. The fireworks provide lots of smoke, and there are place that might be dark enough to show a projection. We’ll try and drop banners from friendly apts, and encourage folks to do the same! If you know people who live in the area, who have friendly businesses, who have apartments with views of Time Square please let us know by filling out the bottom form (here is a link to the form to share directly to people you know)!!! Mass media is our battle zone, and this is our greatest opportunity to enlighten the world about why the Global Revolution/Awakening is here, what we are doing, and to get involved! 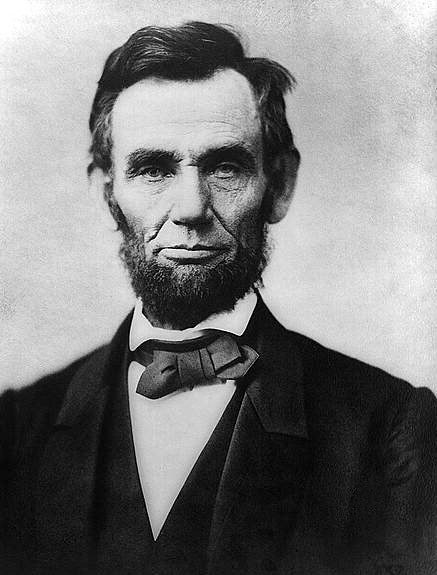 The following is Lincoln’s speech on Dec. 26, 1839 to the bankers who were swindling our young country. If Obama could find such a voice and courage in himself, I may find some faith in him… If Obama made such a public oath, as I will when I return from my recruitment trip from Bard back to Liberty Square, I will support him fully. I will protect him as a president… because all who have tread this path – elected, running, or leading successfully – have been either murdered or systematically cut out from our reality. “[A debate opponent] confidently predicts, that every State in the Union will vote for Mr. Van Buren at the next Presidential election. Address that argument to cowards and to knaves; with the free and the brave it will effect nothing. It may be true; if it must, let it. Many free countries have lost their liberty; and ours may lose hers; but if she shall, be it my proudest plume, not that I was the last to desert, but that I never deserted her. I know that the great volcano at Washington, aroused and directed by the evil spirit that reigns there, belching forth the lava of political corruption, in a current broad and deep, which is sweeping with frightful velocity over the whole length and breadth of the land, bidding fair to leave no green spot or living thing, while on its bosom are riding like demons on the waves of Hell, the imps of that evil spirit, and fiendishly taunting all those who dare resist its destroying course, with the hopelessness of their effort; and knowing this, I cannot deny that all may be swept away. Broken by it, I, too, may be; bow to it I never will. I personally took such an oath ages ago. It is a kind of oath beyond words. My oath expands beyond our dear country to Mother Earth and to God. Such sane, brave patriotism only strengthens when it expands to all humanity and the Creator of humanity. I uphold all our public servants to such a standard… and aim to let those who do not, decay under the old, evil apparatus, that is destined to fall, which bears wounds from our bravest of founding fathers who fought without hesitation to the end. We are all public servants, and we can all rise to such a standard of excellence. Lincoln is not the first public servant to take such an oath, and I will not be the last. Our country has a great history of committment to good, often overlooked. I ask President Obama take such oath with God as a witness. That he share some unique variation, to inspire and solidify in him a noble commitment to our country, humanity, Earth and God that all can be in awe of. That he come down to the Occupations, and show true courage. That he rise to the time, take his rightful place in history, as a fighter for liberty, as a Transcendent Father of our country, along side the Transcendent Fathers and Mothers of Liberty Plaza, Oakland, DC. That he take his rightful place in history as a fighter for humanity, as a Guardian of Mother Earth, along side those of us in Liberty Plaza, Oakland, DC, Tahrir, Madrid, Honduras, Bolivia, Colombia etc. I ask you to do the same. And I urge you to recognize. That those who stand in our way, who thwart our efforts, will go down in history eternally as cowards. That this time is ripe, and grave. That there is something much larger than any one of us, that we must humble ourselves to work for. The idle imaginings and distractions that keep us from rising, standing for our country and for our dying planet, are our own. I do not ask for all to take to the streets, but I ask that they turn off whatever keeps them asleep, stagnant. That they activate themselves for a greater cause, in whatever capacity pleases them the most… dare I ask that they activate themselves for the greatest cause, to unite humanity in this global effort to save life and create harmony. That in such a role, one’s work is literally an act of worship for life and this precious existence. That they will find no better Occupation than that. Such a role comes from a spiritual awareness and grows from there. In such a time, such a spiritual laziness is akin to the worst atrocity a humankind is capable of. Because such laxity enables the worst human atrocities. Activate to enable the greatest human potentials. Join us. Join the human family. You are not alone. We are not alone. We are all doing this together. The greatest work any human has ever been gifted by God.